The Terrace & District Aquatic Centre in Terrace, B.C., will have a new look when it re-opens this spring after an $8 million renovation. The Terrace & District Aquatic Centre in Terrace, B.C., which closed last March for renovations, will have a new look when it re-opens this spring. 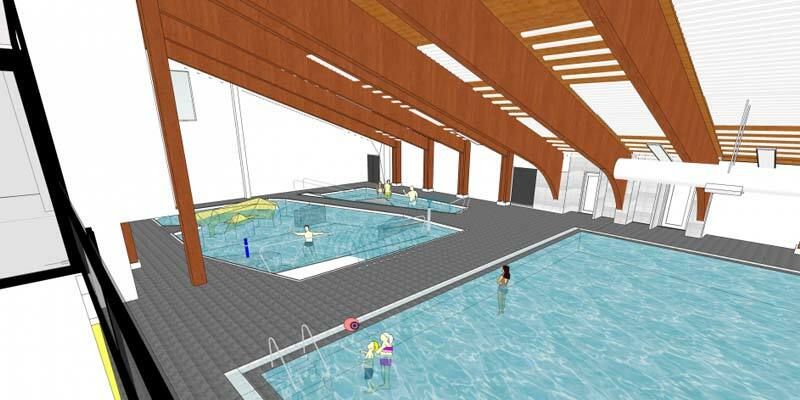 The $8.8-million project is renewing critical operating components, pools, and other swimming facilities and modernizing the 45-year-old aquatic centre so it can better serve the city and surrounding communities. adding ultraviolet (UV) disinfection systems to all the pools. The renovation work is being completed using funding from the Union of BC Municipalities (UBCM) Gas Tax Strategic Priorities Fund and Northern Development Initiative Trust. The City is aiming to re-open the facility in May, but cannot announce a firm opening date due to the complexity of renovations and final works. Copyright ©2019 Pool & Spa Marketing unless otherwise noted.